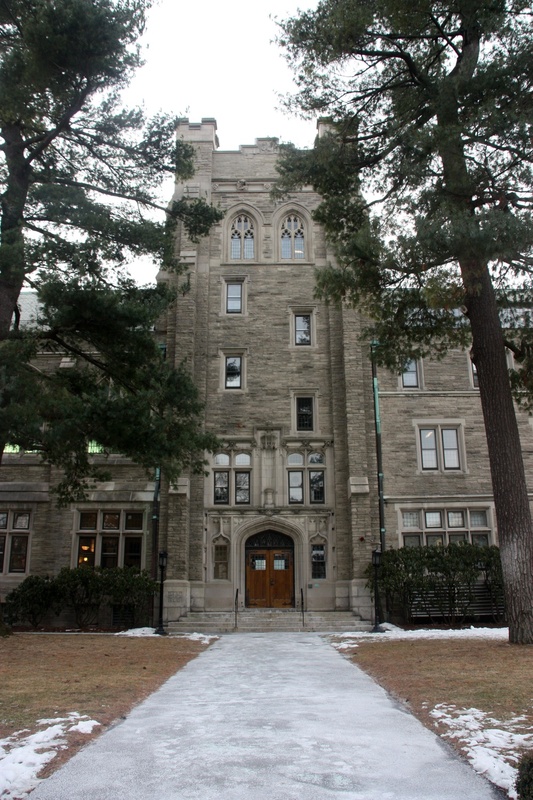 The letter — addressed to University President Lawrence S. Bacow, Provost Alan M. Garber ’76, Senior Vice Provost Judith D. Singer, and Faculty of Arts and Sciences Dean Claudine Gay — alleges Ragab is the first scholar at the Divinity School in a decade to be denied a full professorship without receiving a review from an ad hoc tenure committee. Divinity School spokesperson Michael P. Naughton declined to comment on why Ragab did not receive tenure. “The School doesn’t comment on individual tenure cases,” Naughton wrote in an emailed statement. The letter alludes to the findings of the recently completed Presidential Task Force for Inclusion and Belonging that called for a more diverse faculty, arguing that the University has failed to follow through on those findings in denying Ragab tenure. “The significance of his efforts only become more relevant as the undergraduate population continues to diversify, urging the College to live up to its values of diversity, equity, and inclusion,” the letter reads. Ragab did not respond to multiple requests for comment. The letter also highlights accounts of several students who cited Ragab’s ability to connect with minority students through his teaching and mentorship. “The decision to deny tenure to Professor Ragab thus carries a symbolic weight that will surely affect the aspirations and confidence of undergraduates from marginalized backgrounds for years to come,” the letter states. The students and alumni specifically cited Ragab’s research in the field of Muslim studies, which they argue is under-represented at the University, writing that he fills a “crucial gap” in scholarship. They also contend that he is the “most published” of any tenure applicant at the Divinity School in at least the past two decades. “Denying him tenure reflects on the University’s tendency to resist supporting institutional access to resources for students to engage substantively with Muslim-American and Critical Muslim Studies,” they wrote. Ragab and his wife, Kirkland House Resident Dean Soha Bayoumi, have not shied away from vocal advocacy during their time on campus. The duo was arrested in Boston in 2017 during a protest against President Donald Trump’s decision to end Deferred Action for Childhood Arrivals, an Obama-era program that protects undocumented individuals who had been brought to the United States as children from deportation. In the letter, students wrote that FAS should review Ragab for tenure “to ensure a fair review.” Though Ragab is also an affiliate of the Department of History and Science, he does not hold a permanent appointment in FAS and is thus not eligible for its tenure-track process. The outcry over Ragab’s tenure denial is the second time this year that activists have criticized the University’s decision-making in its tenure procedures. In February, students and alumni sent multiple letters to Bacow after the loss of two tenure-track professors who specialize in Asian-American studies, Associate Professor of Education Natasha K. Warikoo and Assistant Professor of History Genevieve A. Clutario. Warikoo left the University after she was not put up for tenure, and Clutario accepted a position at Wellesley for the coming academic year. The letter connects Ragab’s departure to those earlier departures. “We wonder if the need for faculty diversity will ever move beyond recognition and manifest in real hiring practices,” the letter reads. — Staff writer Jonah S. Berger can be reached at jonah.berger@thecrimson.com. Follow him on Twitter @jonahberger98.